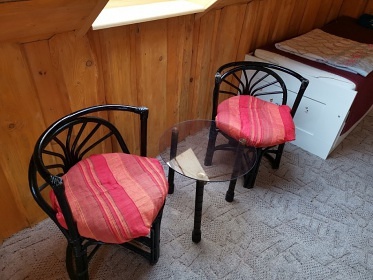 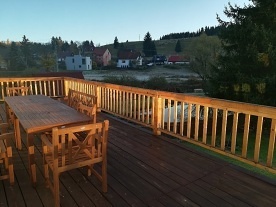 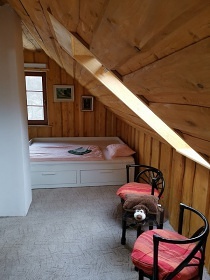 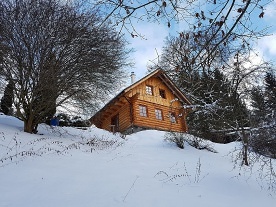 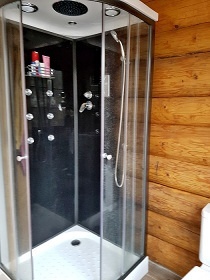 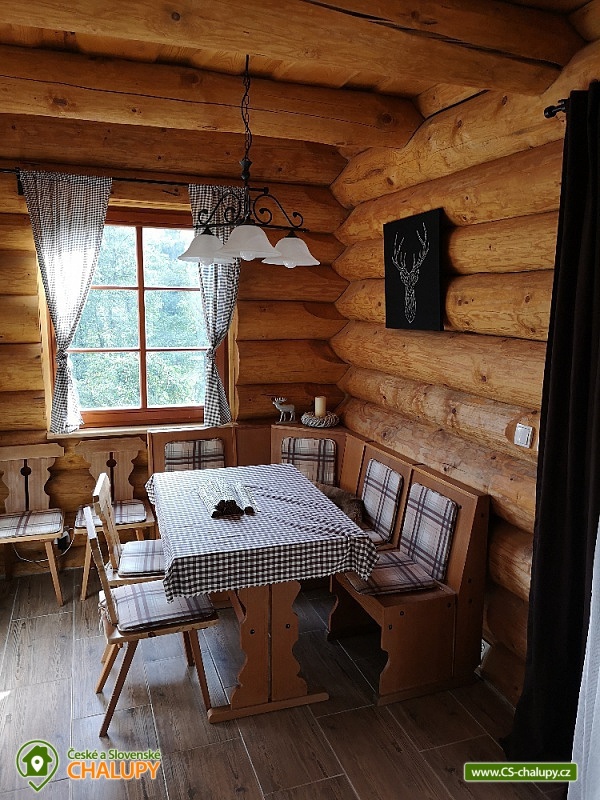 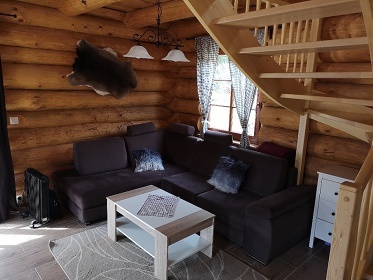 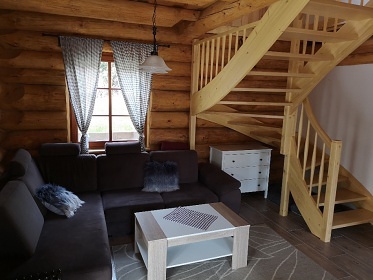 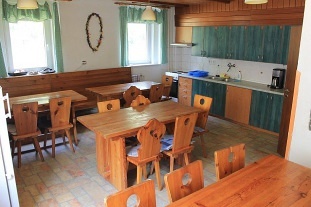 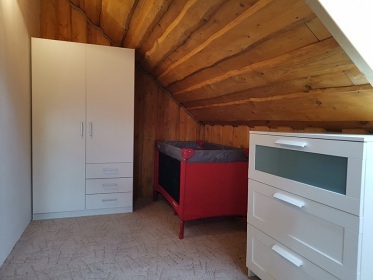 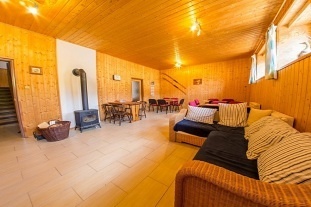 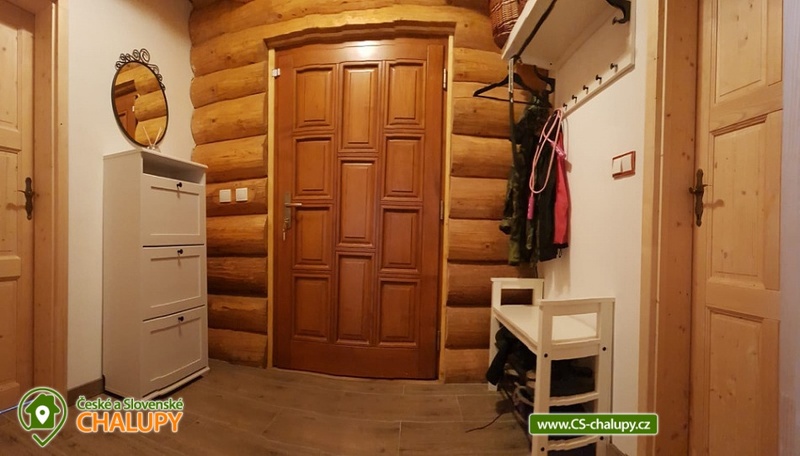 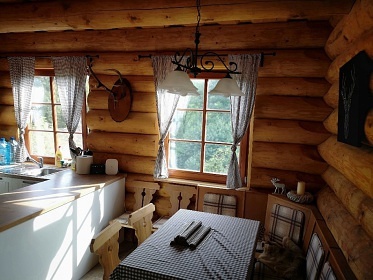 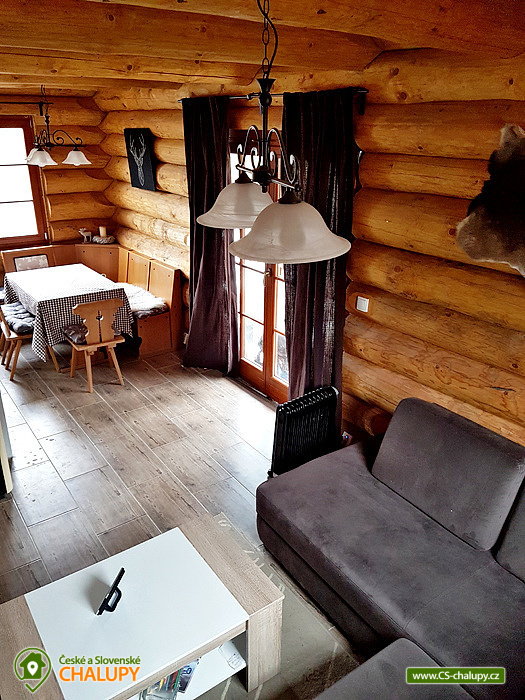 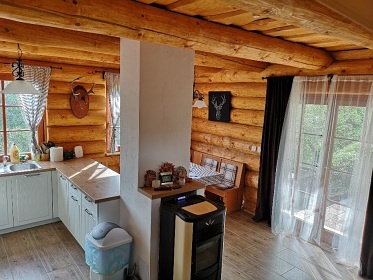 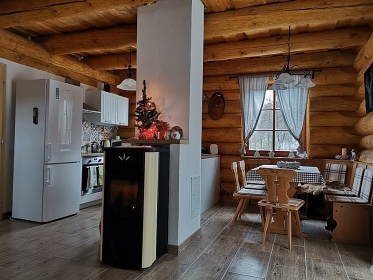 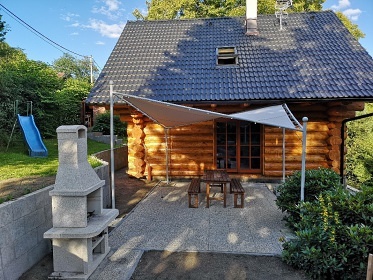 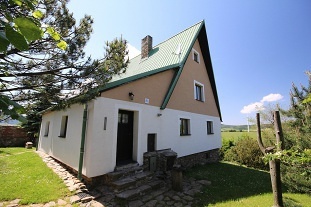 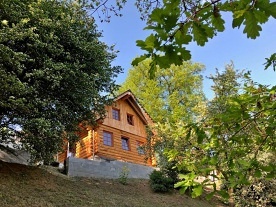 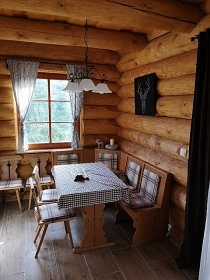 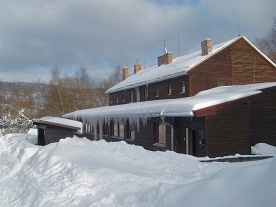 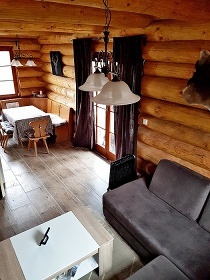 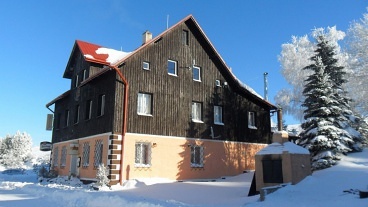 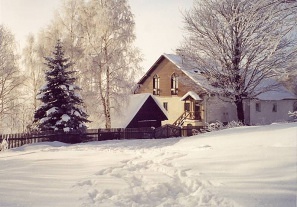 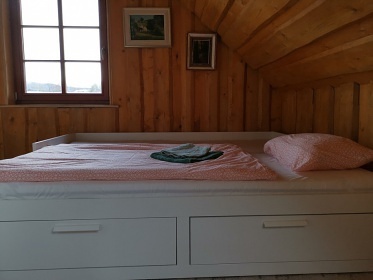 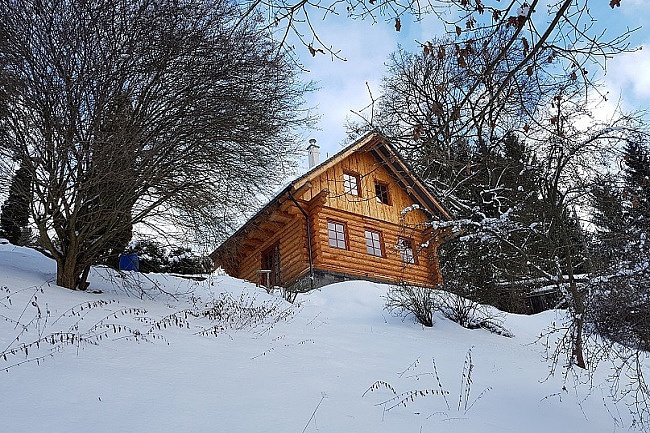 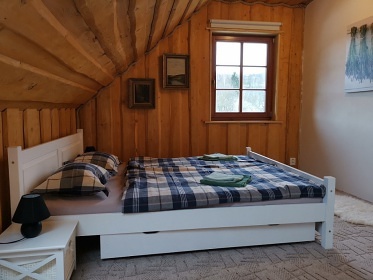 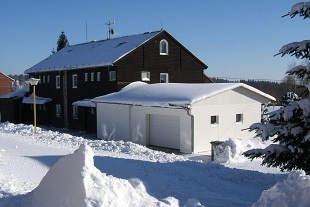 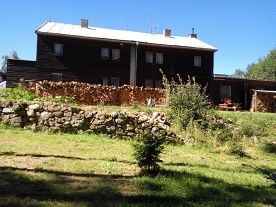 Rental of log cabin Šemnice - Karlovy Vary. 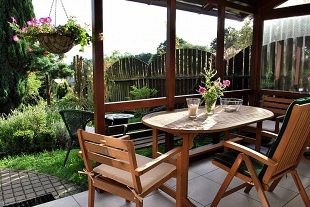 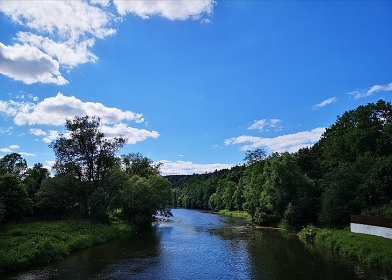 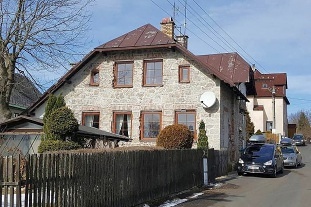 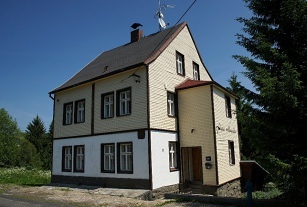 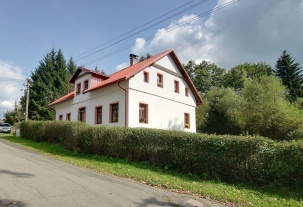 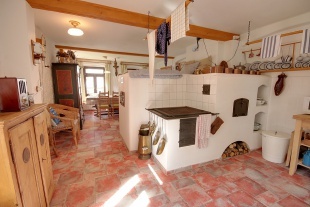 Our cottage is located only 11 km from the town of Karlovy Vary by the river Ohře in the foothills of the Ore Mountains. 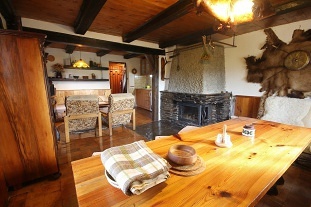 Inside the cottage there is a living room connected with a kitchen, a folding corner seat (2 extra beds) and a coffee table. 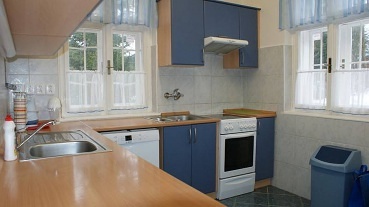 Further kitchen: ceramic hob, fridge / freezer, microwave, kettle, dining table with chairs and corner bench. 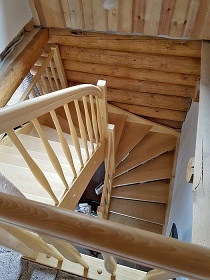 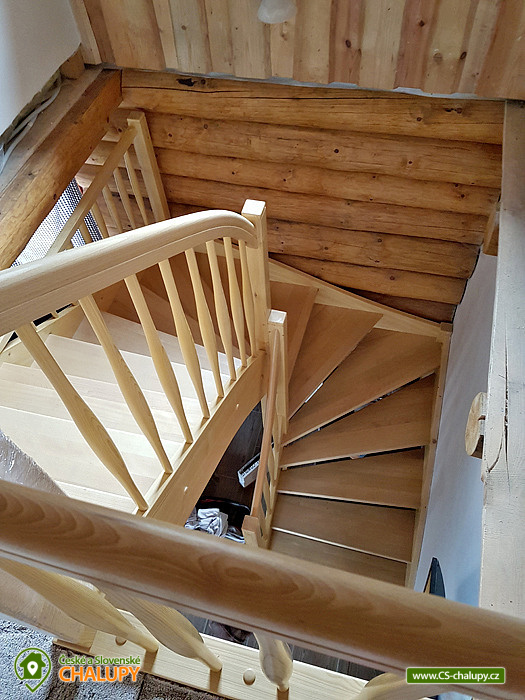 Upstairs there are 2 separate bedrooms with 3 beds. 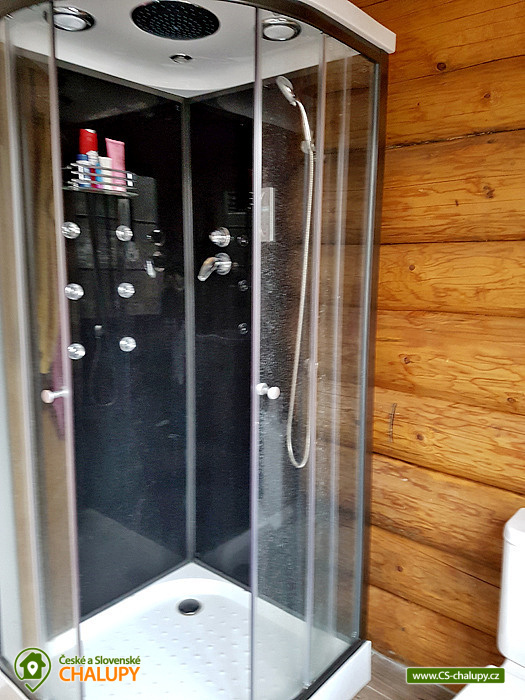 The sanitary facility is on the ground floor and includes a bathroom with a shower massage, sink and toilet. 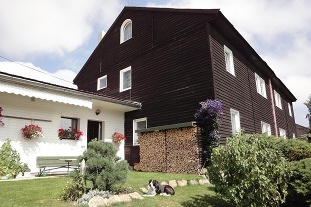 The heating is provided by the pellet stove in the living room with a divorce in the attic. 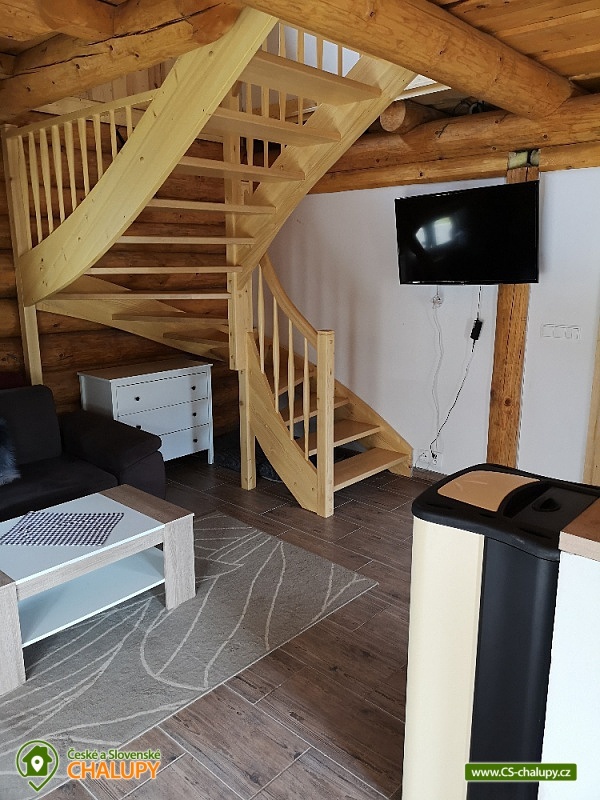 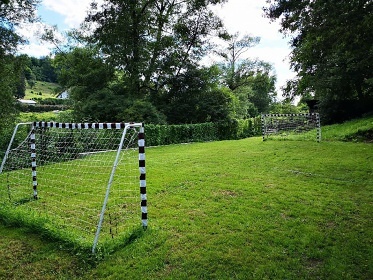 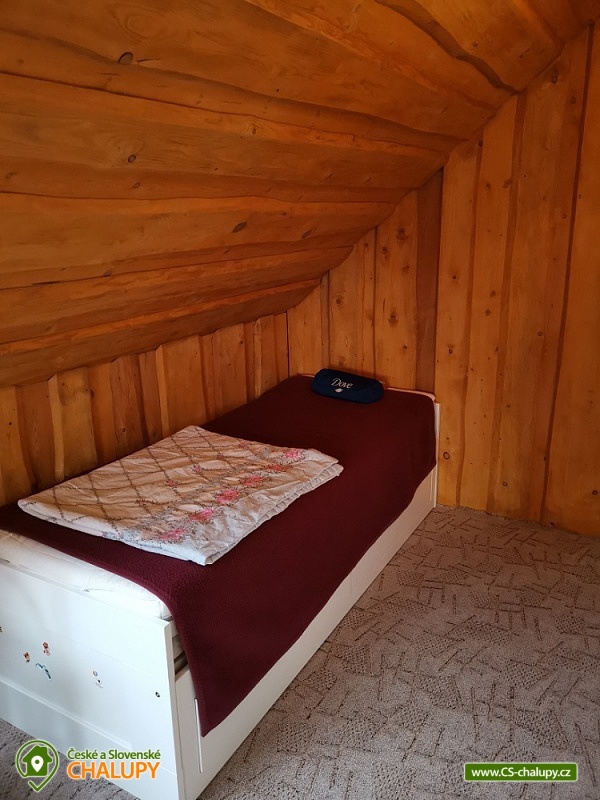 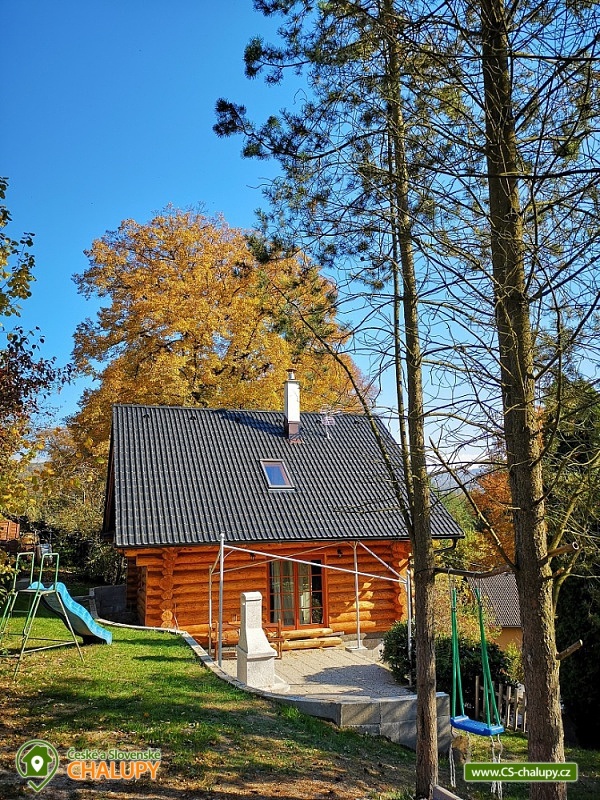 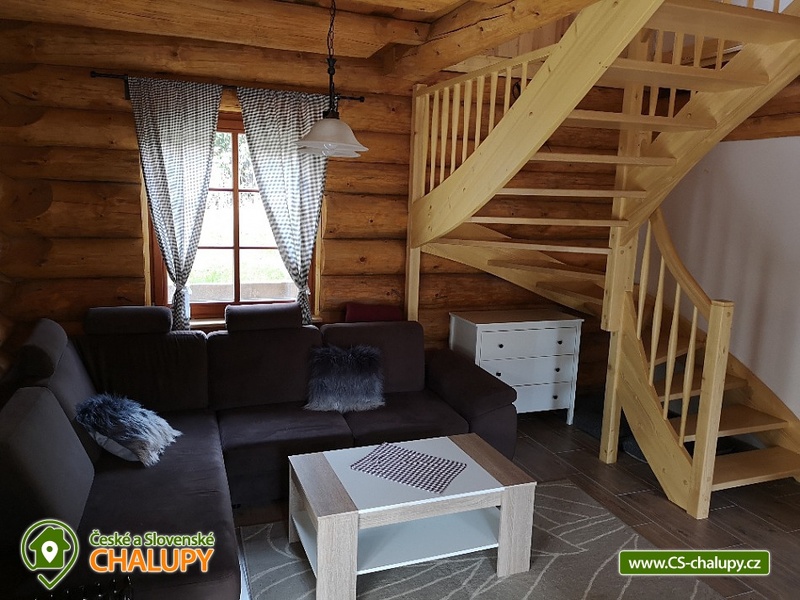 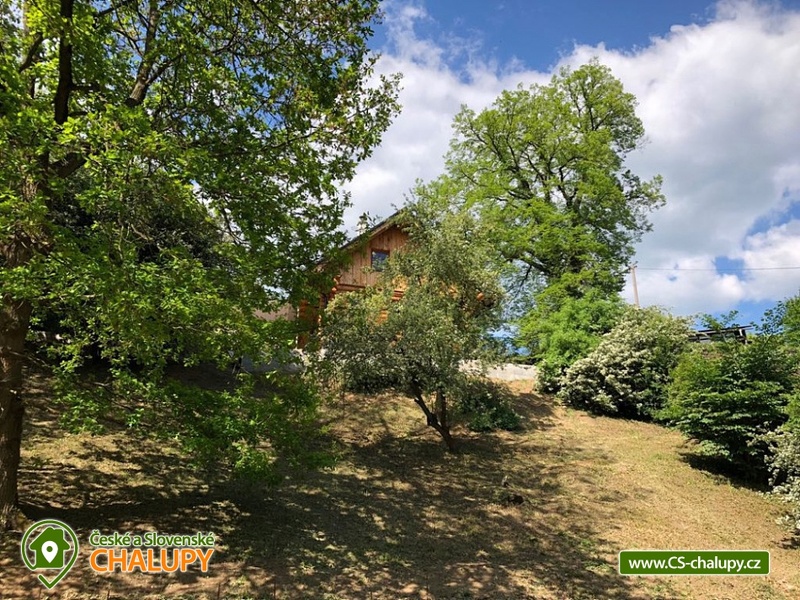 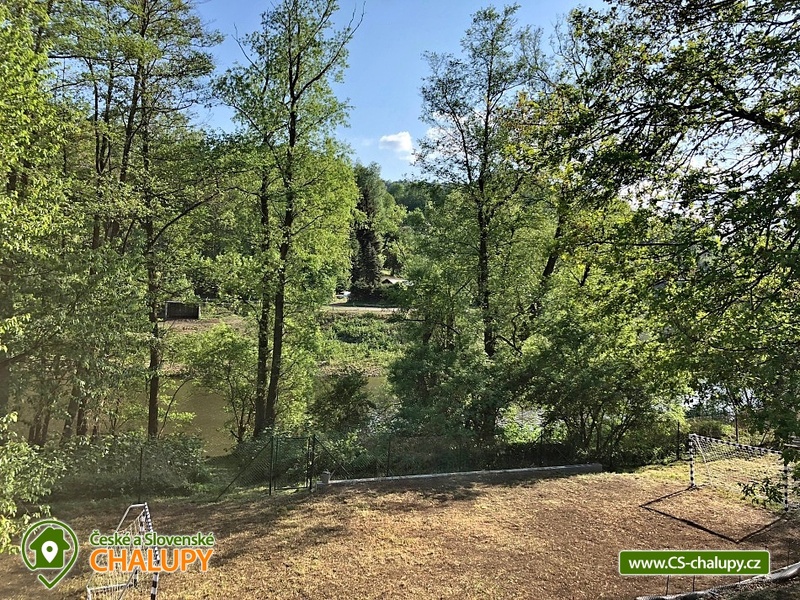 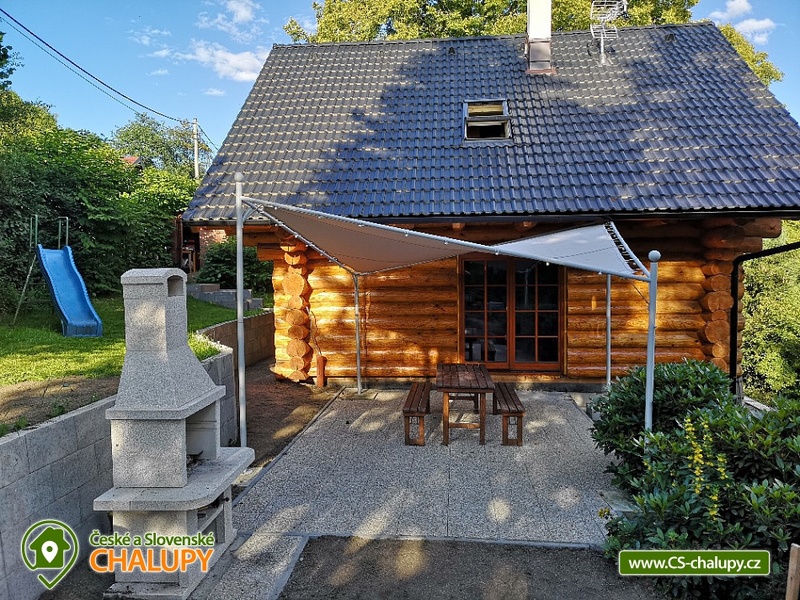 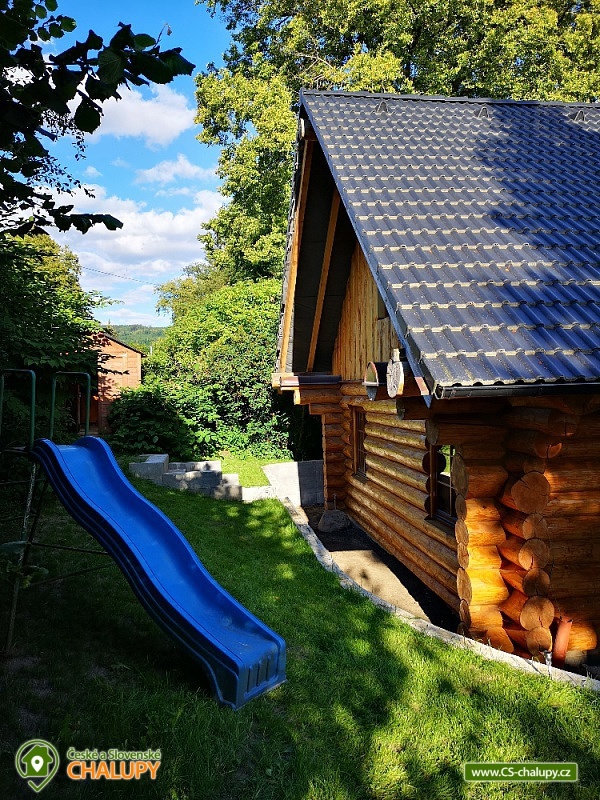 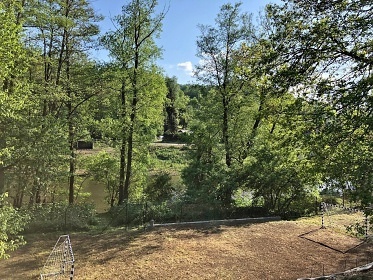 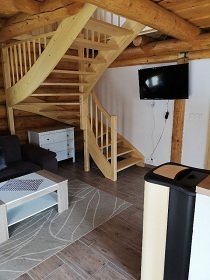 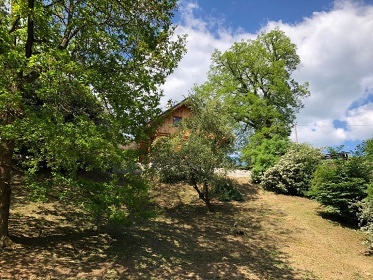 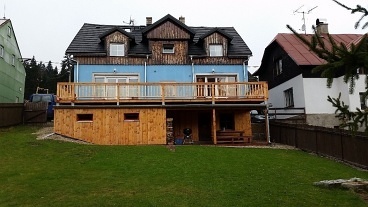 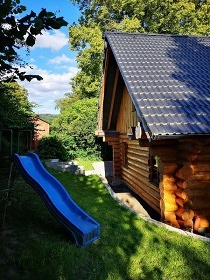 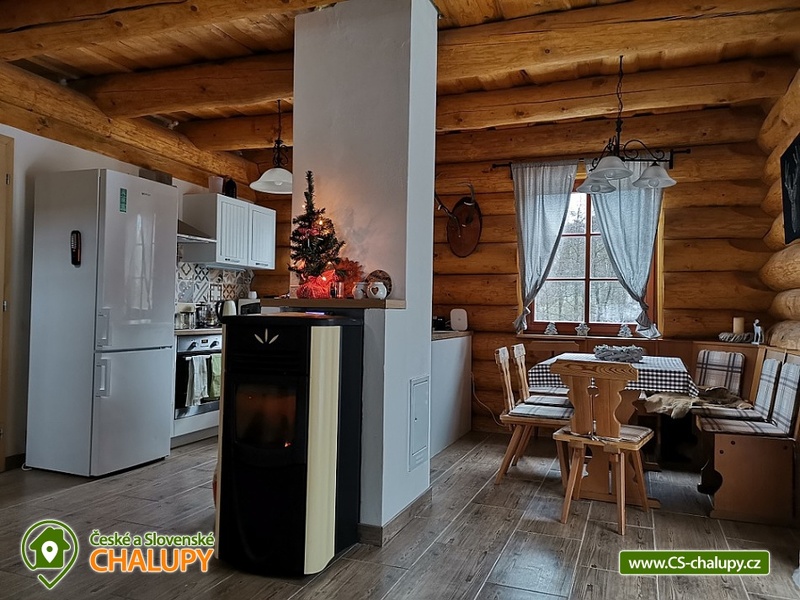 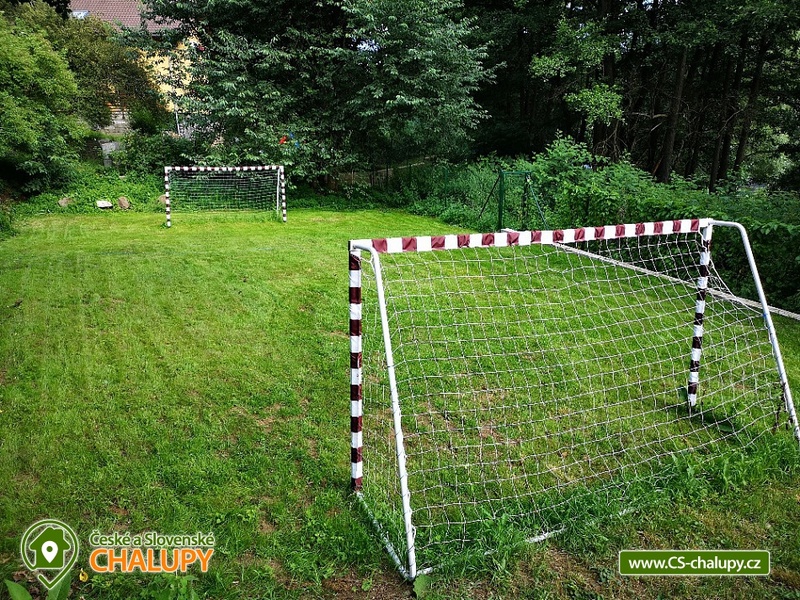 In our log cabin there is outdoor sitting, garden grill, fireplace, children's slide and sports playground with football goal (3m x 1.6m), river Ohře directly on the land. 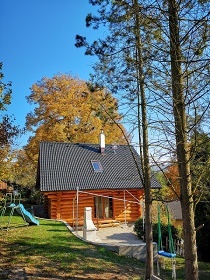 Fishing and bathing is possible right in the river in front of the cottage. 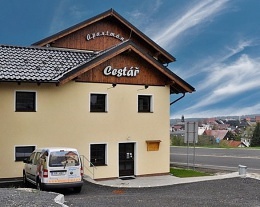 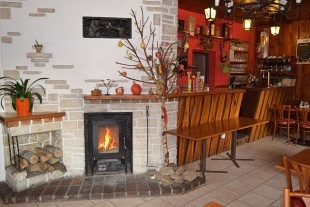 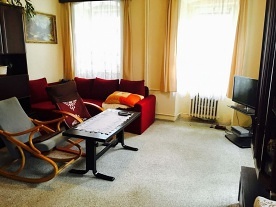 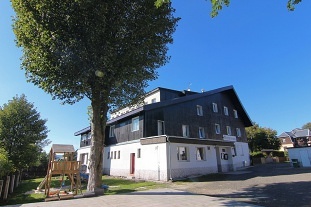 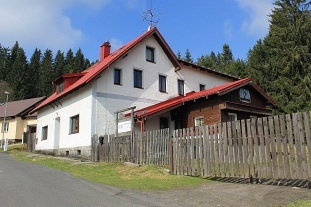 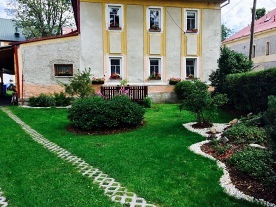 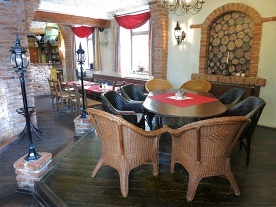 Both the shop and the restaurant are available 2 km in the village or 11 km in Karlovy Vary. 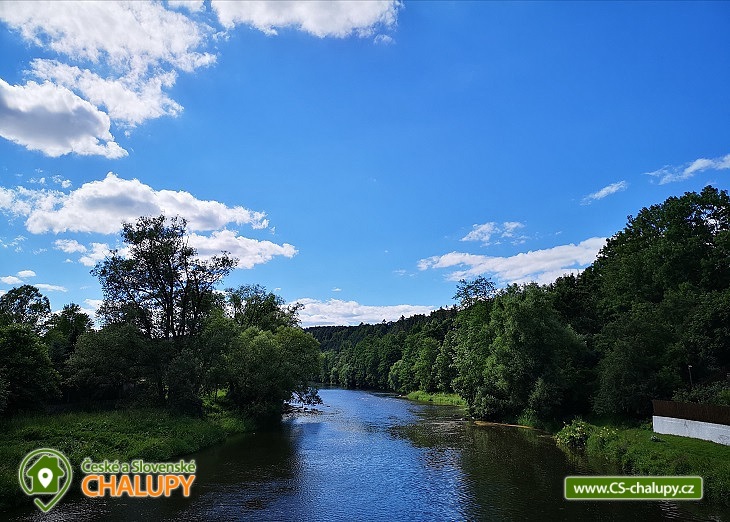 Nearby: hiking, cycling, Karlovy Vary Golf Resort, Marianske Lazne, Sokolov Castle, Loket Castle, Freundenstein Castle, Children's World at Hafik in Karlovy Vary and Klinovec. Excursion options: Bučina - Kyselka lookout tower, cave elves at Dubina, Jáchymov - museum, mint, Loket castle, Bečov Monastery and many others. 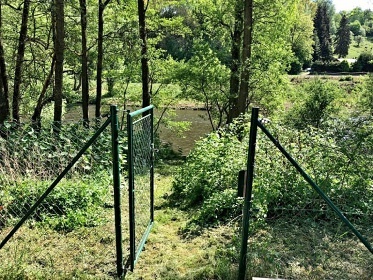 Swimming possibilities nearby: Stanovice Dam, Velký rybník Hroznětín, Jáchymov Aquapark, Děpoltovický rybník, aquapark Klášterec nad Ohří or the swimming pool Horní Blatná. 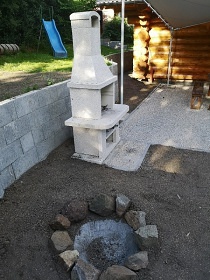 Payment for energy / object / night 100 Kč 100,- Kc je cena jednoho pytle peletek. 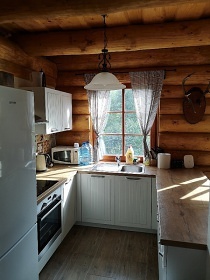 Podle nastaveneho vykonu vydrzi 8-24 hodin. 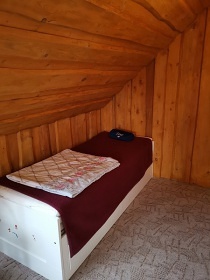 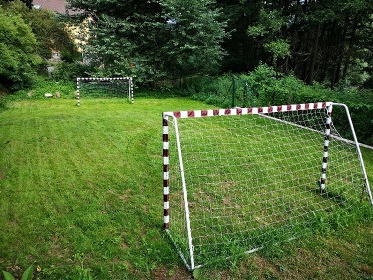 Relevantni samozrejme jen v topne sezone.